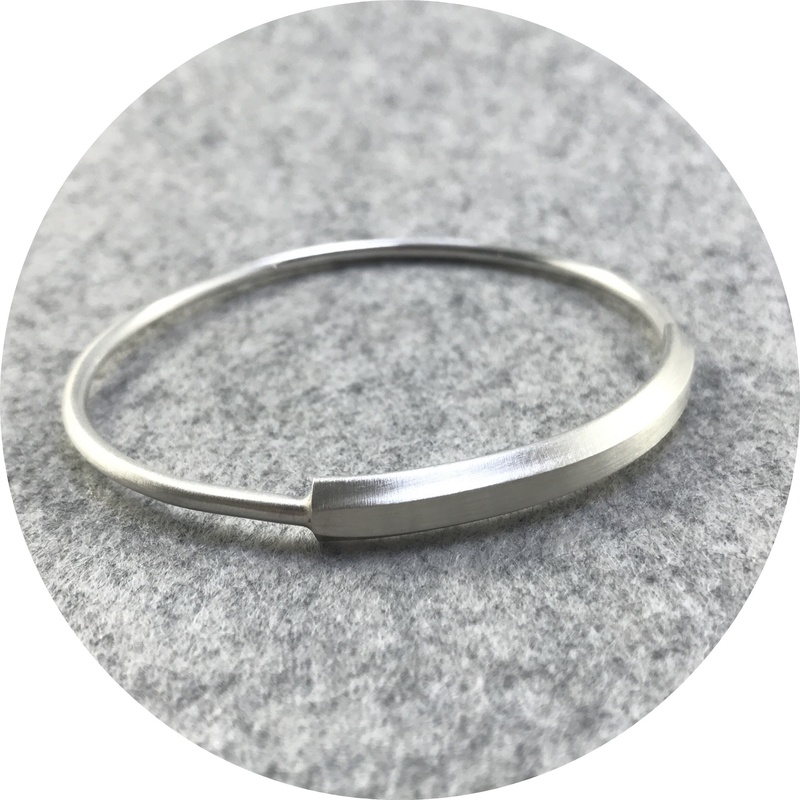 Rengin Guner- Sterling silver bangle with angled plate detail. These bangles are slightly oval in shape. 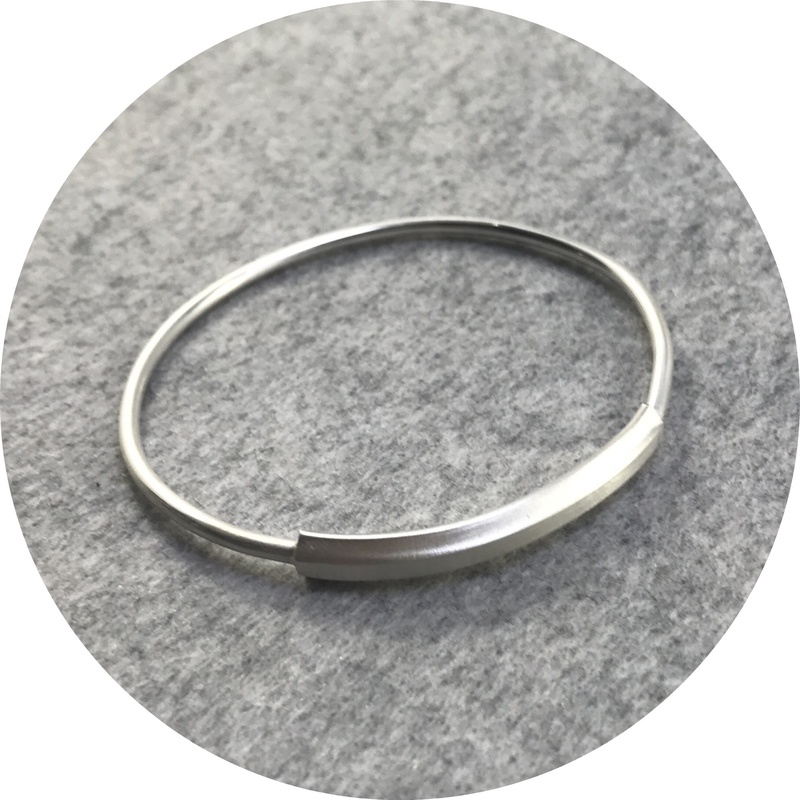 2.5mm bangle profile. Plate 6mm wide 40mm long.